Summer is still a couple months away, but every year it seems that blockbuster season is starting sooner and sooner. Late March has found itself as a strong spot for big movies in recent years, and that’s why we’re about to see the arrival of one film that should be one of the giant blockbuster releases of 2016. Get ready for Batman vs. Superman: Dawn of Justice and My Big Fat Greek Wedding 2. Is all the hype going to pay off? 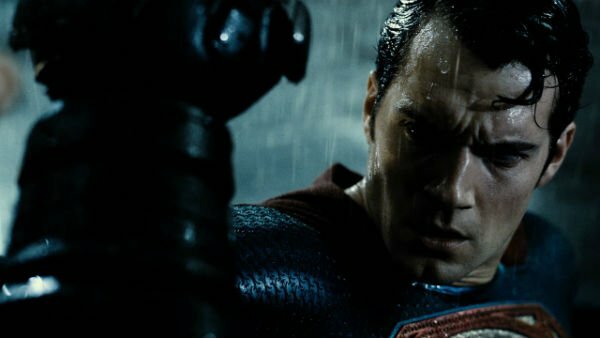 That’s really the only question left to answer about Batman v. Superman: Dawn of Justice. Though the convoluted and needlessly long name would suggest major issues right from jump street, I’m holding out insane hope this flick is everything we’ve wanted and more. The trailers to me suggest a mixed bag, and there’s reason to believe director Zack Snyder (Man of Steel-56%, Watchmen-65%) bit off more than he could chew trying to create what’s been dubbed as the DC Cinematic Universe. Certain aspects of what we’ve seen look amazing, don’t get me wrong. But the Jessie Eisenberg as Lex Luthor voiceovers, the limited back and forth between Bats and Supes and other odds and ends feel just a little bit off. I suspect what we get here is 65% a good movie and 35% a "what could have been" scenario. Again, I hope I’m wrong because I’ve been jones-ing for Batman v Superman: Dawn of Justice for a while, and really want it to be good. But enough of the stilted dialogue, possibly cheesy CGI and other uh-ohs have me thinking this could even finish below the halfway mark. Here’s to hoping I’m way off base. Having never seen the first one, I’m not sure I can adequately break down My Big Fat Greek Wedding 2, as those diehards fans of the original out there might see right through my lack of knowledge on the subject. The first movie came out in 2002 and was a huge, runaway hit that as I remember came almost completely out of nowhere to get an Academy Award nomination and a ton of money at the box office. Now, they’re looking to capitalize (I think) on older people who loved the original coming back to catch up with the now-middle aged Portokolas family and how they’re all still Greek and crazy I suppose. Nia Vardalos wrote and directed the first My Big Fat Greek Wedding, but for the sequel she merely penned it. Kirk Jones (What To Expect When You’re Expecting - 22%, Everybody’s Fine - 46%) is in the director’s chair and I think you see a significant drop off from the previous film’s critical success. It just looks bland with some staler jokes. I don’t have high hopes. I really crushed it last week with my predictions, as there were two movies out in wide release and two estimates that landed within the ten percent range. First off, Divergent Series: Allegiant (Predicted: 17% Actual: 10%) was terrible as expected. This franchise has been on such a downward trend, with each movie looking worse than the one before. This latest is a new low and bordering on the single digits for young adult series. That’s real bottom of the barrel territory and it might just be time to call it quits on something that will forever be doomed with comparisons to The Hunger Games and will never be able to keep up. Meanwhile, Miracles from Heaven (Predicted: 49% Actual: 54%) was right in range as a vanilla movie with very low stakes that critics saw as a ho-hum flick with very little to get excited for. Critics vacillated between thinking it went overboard with trying to grab a tear or two out of you and those who saw it for what it was: a Christian film made for a particular set of viewers. That kept the score right in the middle and well within range of the prediction. Next time around it’s a big one with Collide and God’s Not Dead 2. It’s gonna be a Rotten Week!